Save on Garagekeepers insurance. Let 3 agents compete for your policy. Need a garagekeepers insurance quote? Don’t get one quote, get 3! The best way to save money on your towing insurance is to shop around. 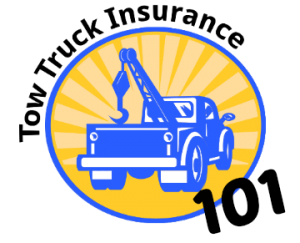 We make that easy by bringing you 3 agents that understand tow trucks to compete for your business. In this next installment of our Commercial Tow Truck Insurance 101 Guide, we’ll help you better understand the inherit risks associated with all types of towing operations and how to protect your business with garage keepers legal liability insurance. Owning your own commercial towing business has its rewards. It also has its risks. Fortunately, there are unique insurance coverages designed specifically for tow truck companies. Garagekeepers legal liability is optional coverage that provides protection for your business against the loss of a customer’s auto that’s left in your care, custody or control. To put it in something other than insurance-speak and relating it to towing operations, it will protect your business against being held liable for damages to a customer’s vehicle while it’s parked at your shop, garage, lot, etc. This coverage is not included in a standard garage liability policy. So for example, if there is a fire while a customer’s car is stored overnight in your garage, you would not have coverage unless you have a garagekeepers policy. This type of policy also covers employees while they are test driving the customer’s vehicle. There are two types of garage liability insurance for tow truck operations and other similar industries. They are garage liability and garagekeepers liability. While many may consider these policies to perform the same task, there is actually a big difference. The intent of general garage liability is to cover bodily injury or property damage caused by an accident due to garage operations. Basically, it’s a general liability policy that would respond to claims associated with an injured customer. What you need to know is that a garage liability policy excludes coverage pertaining to any personal property that is left in your care, custody, or control. An electrical storm causes a fire at your business and a customer’s vehicle is destroyed. Since it wasn’t the fault of your business, you would not be held liable for the loss. However, the policy would not cover the loss of your customer’s vehicle – even though it was not your fault, and the vehicle was in the care of your business. This may sound like an insurance loophole, but remember, the job of the garage liability policy is to protect you from being held liable in a court of law, not to cover customer property. Now, if the source of the fire in the above example was due to the negligence of the employee who improperly stored a flammable liquid, the resulting damage to your customer’s vehicle would be covered – but only under a garage-keepers liability policy. What does garagekeepers insurance cost? For any business that deals with autos, the handling of customer’s vehicles is an inherent part of day to day operations. So if at any time your business is being held responsible for the care of vehicles belonging to customers, you’ll need garagekeepers legal liability coverage. So what does it cost? The prices are all over the map. The challenge is to find the insurance company that is the most competitive with your unique operation. At Tow Truck Insurance HQ we work hard to connect you with 3 agents so that you can quickly and efficiently find the best deal. 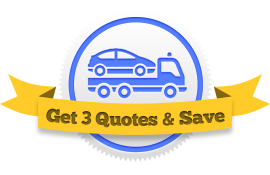 Compare 3 tow truck insurance quotes!